We hope that this site will be of great benefit to our parents, guardians and friends. As time goes by we plan to increase and enlarge this site. An outstanding new facility conceived and designed to cater to children's diverse interests and needs, from state-of-the-art science and computer labs, to an integrated system of smart-boards, to all-year-round heated swimming-pools. At IMS we seek to foster compassionate and tolerant attitudes amongst our students, to promote honesty, integrity and responsibility. A child who is understood and engaged in learning is a happy child. As a member of the IMS family you are unique. 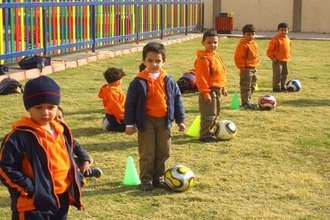 It is a privilege to welcome you to one of the truly outstanding semi-international schools of Egypt. 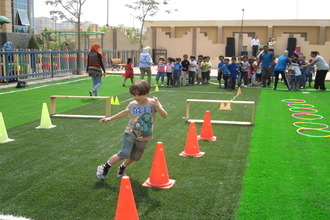 The school success will be achieved through the persistence and hard work of all our teachers, students and parents. 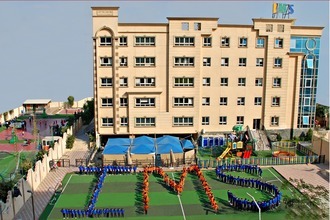 The attitude and environment of the school is one which always strives to achieve excellence and never settles for anything less. It is exactly this attitude that we aim to instill in all our students with everything that they do. Enjoying playing with the swings and our lovely playground apparatus during break time. Exploring and learning about the world through our computer sessions. Our little scientists experimenting and discovering new things through our science labs. A healthy mind needs a healthy body. Our kids enjoying a day by the pool. 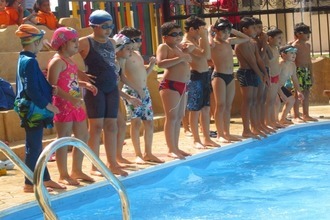 Our IMS children taking their swimming lessons very seriously. Having fun days where we let loose with our friends in part of why we love our school so much.